Makeup by Paloma Guerard, Blanche Macdonald Graduate. Makeup by Jon Hennessey, Blanche Macdonald Graduate and Instructor. 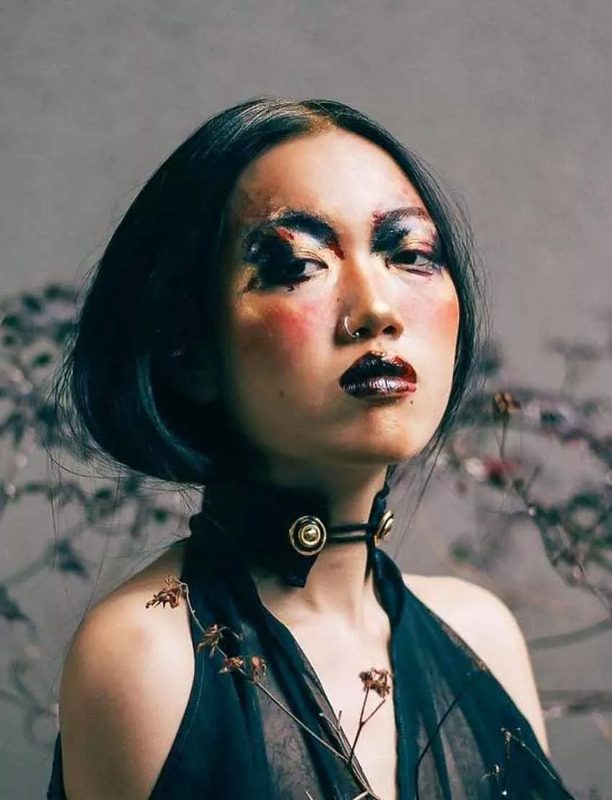 Makeup by Kendahl Jung, Blanche Macdonald Graduate. Makeup by Kelseyanna Fitzpatrick, Blanche Macdonald Graduate. Makeup by Oz Zandiyeh, Blanche Macdonald Graduate and Instructor. Make Makeup your life and Freelance your lifestyle with our part-time Freelance Makeup Artistry Program. Gain the tools and techniques to build a flexible creative career on your own terms. Train with award-winning industry experts at a globally renowned college. 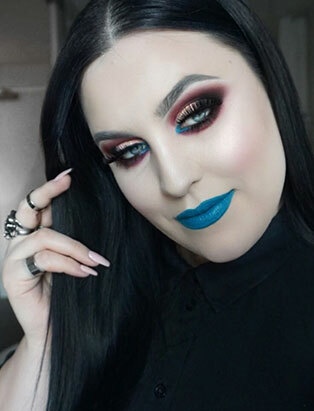 Join the ranks of our prestigious alumni who are shaping the Makeup world. Within our walls you’ll find a caring community that values creativity and nurtures confidence. You’ll meet industry insiders and expert professionals who will guide you, mentor you, and set you up for success. Whether your focus will be fashion, beauty or bridal, our part-time program can lead to unlimited possibilities in the local, national and international industry. This is how makeup futures are born. This is where passions become careers. 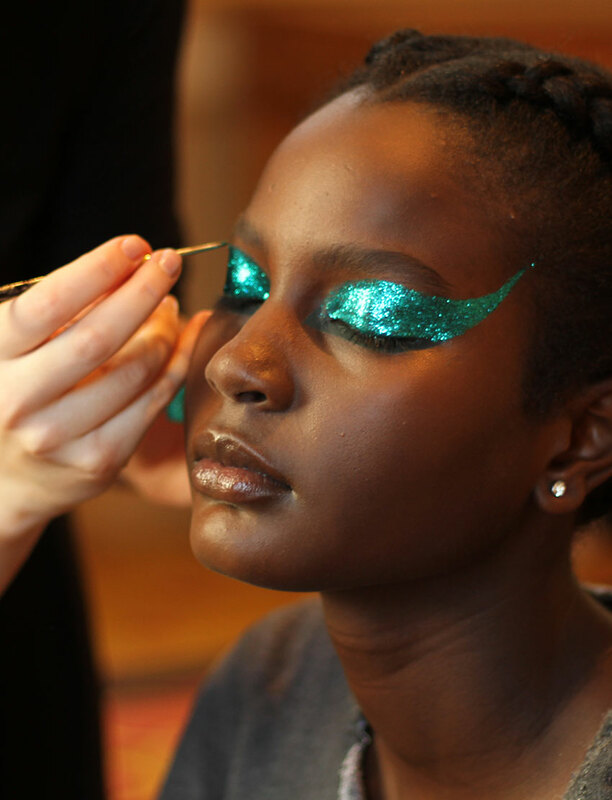 If you’re serious about stepping into the Makeup business, our Freelance Makeup Courses will open the door. 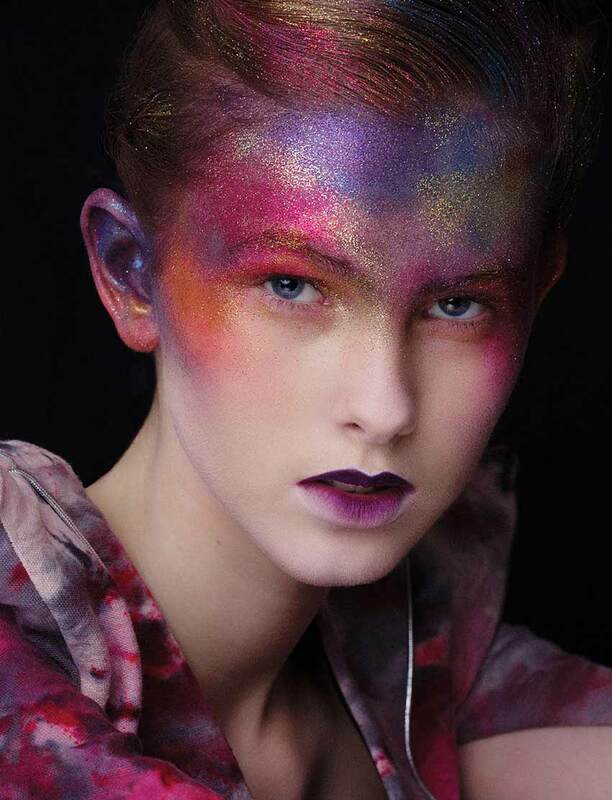 Makeup by Eva Svobodová, Blanche Macdonald Graduate. 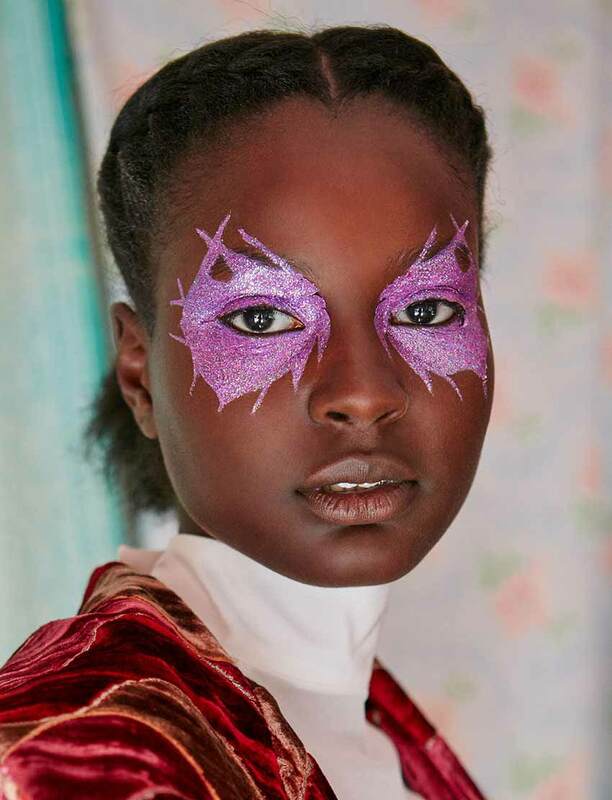 Makeup by Evelyn Affleck, Blanche Macdonald Graduate. Our part-time Freelance Makeup Program has a proven history of turning students into full-time Pro Makeup Artists. 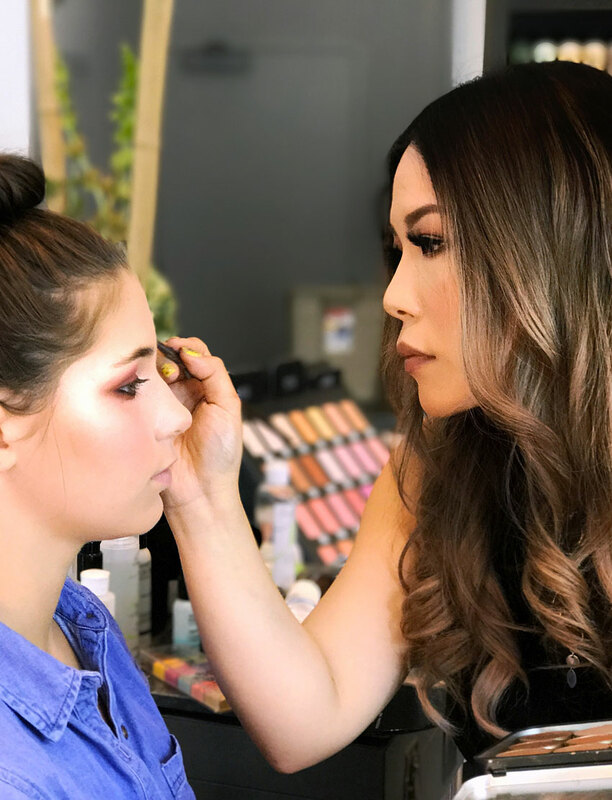 Under the mentorship of our award-winning faculty you will develop extensive makeup knowledge and technical ability, alongside the outstanding communication and self-marketing skills needed for a successful career. At the helm of our Program is Emmy-Award Winning visionary Todd McIntosh, Makeup Director and creator of our innovative curriculum. He leads an incredible team of instructors who bring their industry knowledge directly into our classrooms. Their work has appeared in major publications and on runways around the world. It’s their insider expertise that provides an unparalleled education for every aspect of the Fashion and Bridal Makeup industries. Moving beyond theory, you’ll gain countless hours of practical experience. 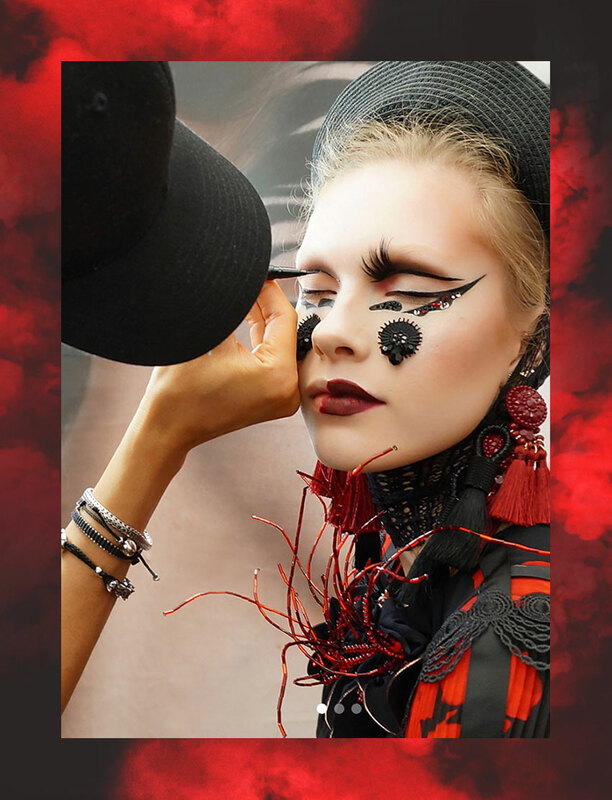 We’ll immerse you in real-life makeup environments, from behind-the-scenes retail and fashion shows to live demos and advanced training with international experts. You’ll take part in a series of professional photo shoots, capturing your work in an industry-standard Portfolio. Watch as your classroom extends beyond the walls, and your education encompasses the wider makeup community. Attend guest lectures and masterclasses with Academy Award winners and Celebrity Makeup Artists. Rub shoulders with the Makeup elite and form a network of professional relationships. Benefit from the lifetime support of our dedicated Careers Department and seize industry opportunities – all before you graduate. Any successful makeup artist knows that professionalism and communication are just as important as your technical and artistic abilities. That’s why we dedicate so much time to helping you develop confidence, maximise your professional potential and hone your communication skills. We do more than teach you how to perform great makeup. We prepare you to become an industry professional. The Freelance Makeup Diploma Program is a Part-time program. All makeup artists begin with a good foundation. In this introductory level you will develop a solid base of skills and knowledge, to build upon throughout the program. Face shape, eyes, lips and brows take centre stage as you learn the essentials of makeup application and explore colour, texture and light. Learn to care for the skin and work with different skin types, tones, ages and ethnic groups. 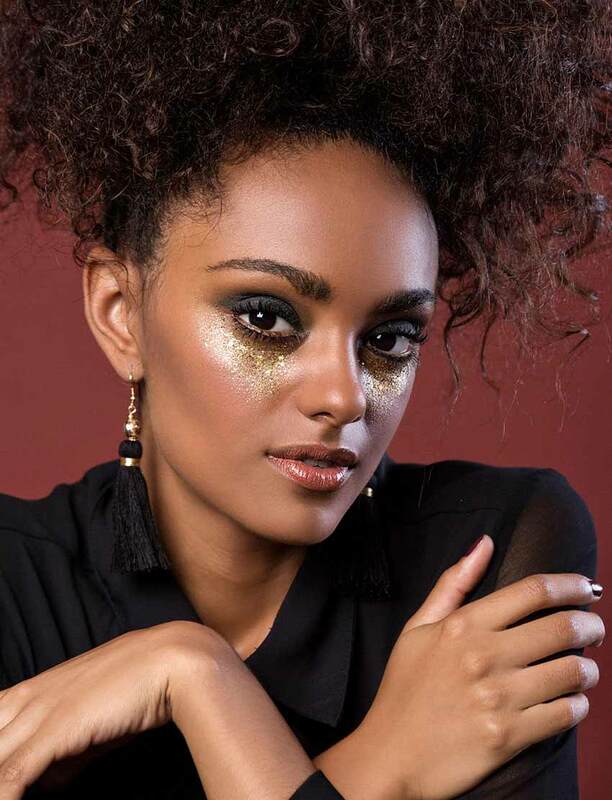 Develop techniques for blending, contouring, shading and highlighting through practical applications in daytime and evening makeup, and classic, natural, glamour and dramatic styles. 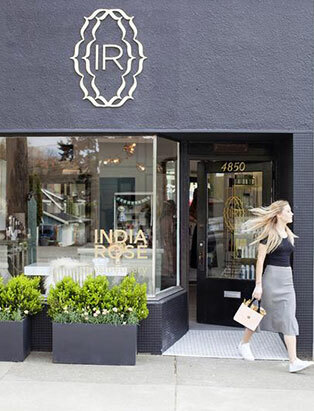 Learn industry standards for cleaning and hygiene and develop hands-on product knowledge with industry pros at CurliQue, our Beauty Boutique. Learn to create flawless bridal makeup and elevate bridal bliss to the next level. In this module we will focus on wedding makeup, exploring both the business and creative sides of this lucrative industry. Our expert instructors will train you in bridal makeup consultation to identify the scope, budget and schedule of the project, and teach you how to negotiate a wedding makeup contract. 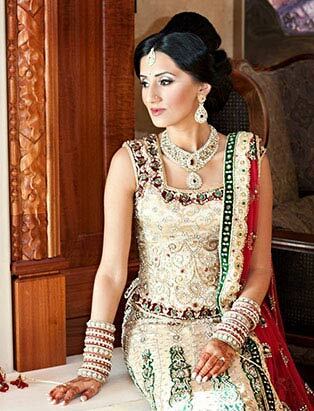 You will create and apply traditional, contemporary, ethnic and avant-garde bridal makeup styles, and learn the secrets of flawless, sheer and natural bridal makeup. 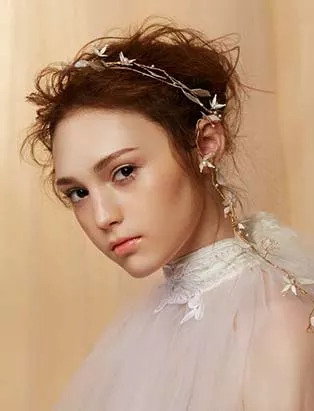 We’ll coach you in working with different skin types and styles, and show you how to incorporate bridal gowns and accessories into your makeup designs. Learn to work with a hairdresser and photographer as you experience a professional bridal photo shoot and begin compiling your portfolio images. With fundamental hairstyling skills you can create a total look from head to toe, and offer a complete professional package. 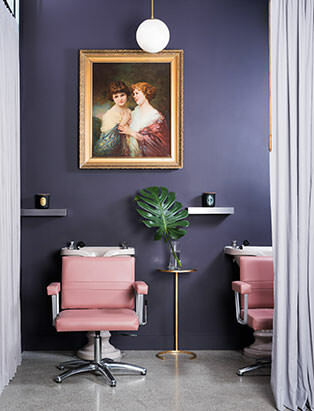 Guided by an industry expert, you’ll develop styling techniques including roller setting, blowdrying, backcombing and finishing. Learn how to create updos including scrunching, teasing, braiding and easy buns, as well as a range of vintage looks and contemporary styles. Begin to integrate hairstyling trends and current fashion looks into your designs as you expand your repertoire. 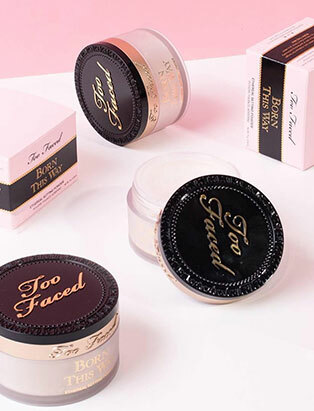 Once you’ve mastered these hairstyling essentials, you’ll be able to and market yourself as a professional makeup artist for the fashion industry. 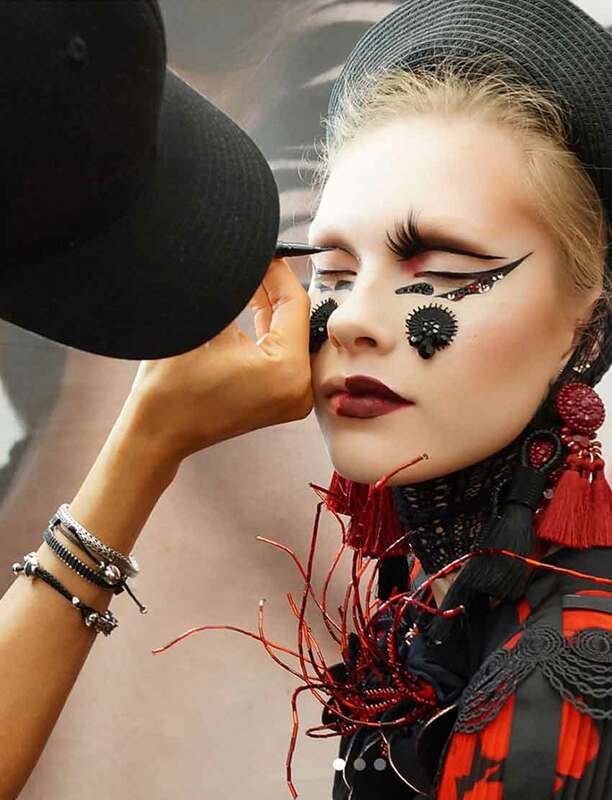 Fashion Makeup Artists create trends and change the face of the fashion world. In this exploration of historical, contemporary and futuristic fashion makeup we will analyze the trend cycle, examine current makeup fashions and trends, and identify makeup eras of the 20th century. You will create face charts and perform practical applications for runway and fashion show looks, model tests and actor headshots. Explore the contrasts between black and white; street and alternative; real and camouflage. Learn how makeup corresponds with fashion and the “total look,” and how lighting impacts makeup in both colour and black and white photography. 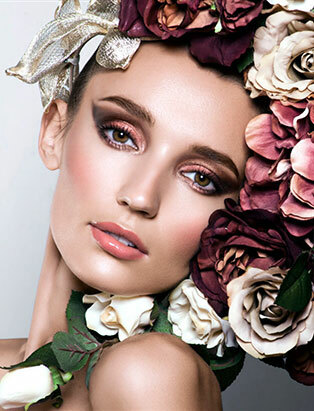 Our expert instructors will coach you in developing your makeup application skills with a focus on fashion photography. 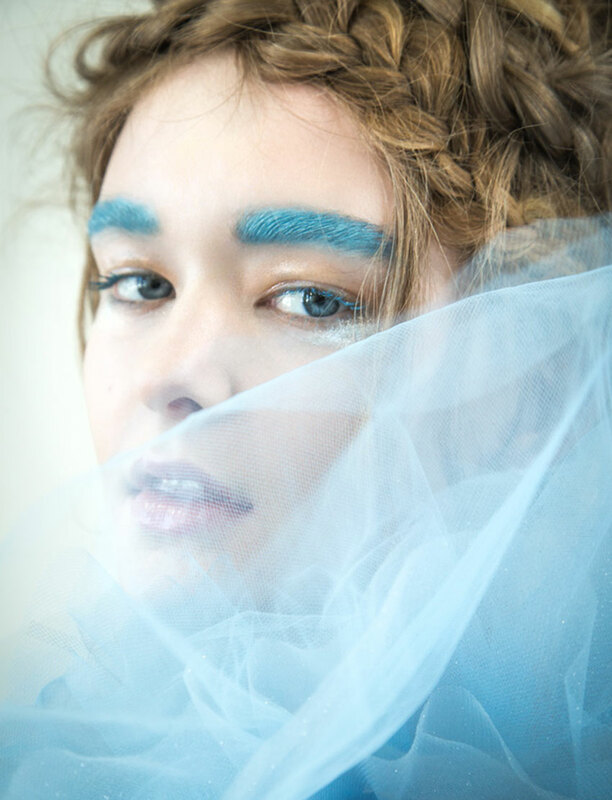 Working with a creative team – hairstylist, fashion stylist, photographer and model – you will collaborate on an artistic vision, designing a makeup look to work with a stylist, photographer or designer’s “big picture”. Learn the role of a Makeup Artist in the context of runway and print environments, and develop etiquette for working with a production team, client, agency or art director. Experience a professional fashion photo shoot as your portfolio and skills continue to grow. In this level the body becomes a canvas for the realization of your creativity and imagination. Learn the safety and mechanical considerations of airbrushing and how to efficiently clean, assemble and load an airbrush. Design character charts for airbrushing; experiment with patterns and textures; and learn to use masks, shields, templates and friskets. Apply beauty, glamour, fashion and fantasy makeup with an airbrush, and learn how to cover tattoos and skin discolourations. 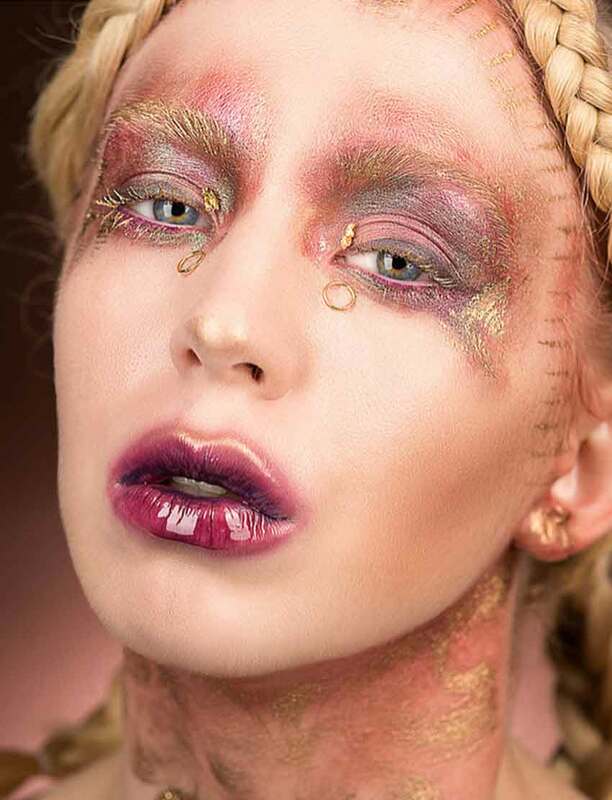 As your techniques are refined, you will perform airbrush applications on hair, learn to apply body makeup, and create airbrush tattoos. Applying what you have learned, you will design and perform an airbrush makeup application on the face, body and hair for a photo shoot. In this career-coaching intensive we’ll help you create a personal marketing strategy and polish your professional style. We will take an inventory of your skills and explore the limitless possibilities available within the makeup industry. Learn how to build professional and client relationships, and identify and communicate with prospective employers. We’ll show you how to perform a job search, write a standout cover letter, produce an industry résumé and conduct a winning interview. Develop the effective communication skills and confidence to network and speak publicly. It’s like bootcamp for your professional image. Technique meets technology as you develop the digital tools to make your marketing plan come to life. Optimize your photo shoot images by manipulating, formatting and retouching with Photoshop, and learn how to synthesize your work with other digital content. Design a business card and a produce a multimedia presentation. We’ll give you a portfolio masterclass so you can design and compile a professional portfolio that showcases your unique artistic and entrepreneurial talents. 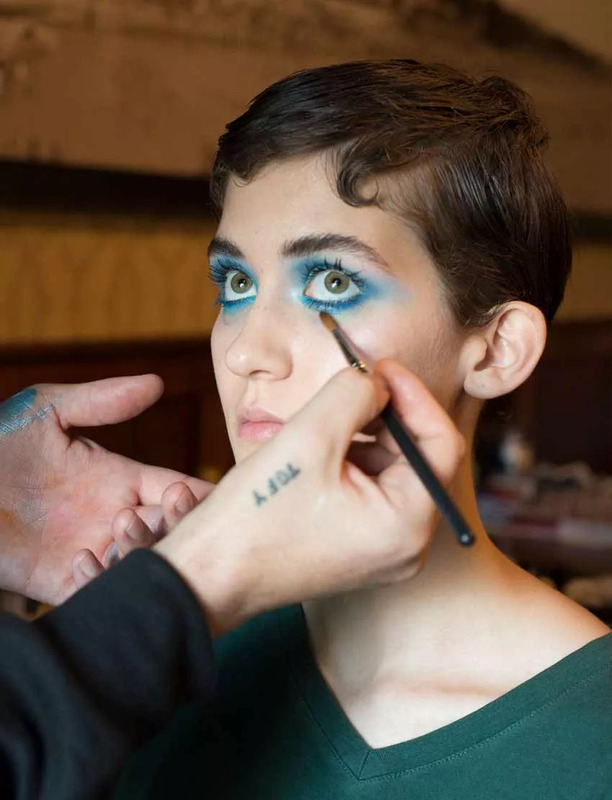 These contemporary marketing tools will create impact and results as you begin your career as a professional Freelance Makeup Artist. The order of the Freelance Makeup program modules that each student receives may vary due to instructor scheduling needs. Each student receives the exact same modules and total amount of training but the order of some modules may vary for certain groups. Flexibility is the future. As a Freelance Makeup Professional you can create your own schedule, handpick your projects, and be your own boss. You’ll never have the same day twice. But best of all, you’ll have the freedom to shape your career and forge your own unique journey – on your terms. The career options in the Makeup industry are as limitless as your potential. Take hold of your future and choose the direction that feels right for you. Our full-time Career Services Team will help you turn your passion into a fulfilling creative career. They will be your guides as you navigate the makeup landscape and find your place in it. That guidance is good for life – beginning on your very first day and continuing throughout the evolution of your career. 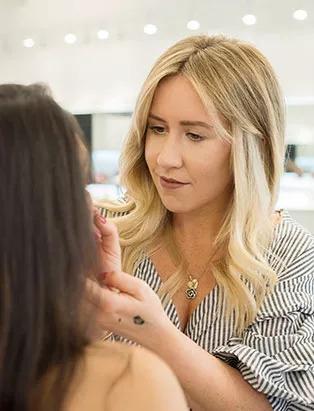 Our Career Directors have established powerful connections throughout the makeup industry, and it is their mission to help you find your perfect career fit. They will work around the clock to connect you with volunteer, internship and employment opportunities. They will assist you in building your network, boosting your confidence and, ultimately, crafting your own career.